A recent report by DRAMeXchange has revealed that AMD managed to increase their market share in the server space to 2%. Up from 1% just a few months ago, the figures may not be a really large number but considering that the server market itself is a multi-billion dollar industry, these signal digit gains could potentially be worth millions of dollars in revenue which will be a good boost for AMD since they were pretty much non-existent in the server market before EPYC launched. In the report, it is stated that x86 continues to be the mainstream architecture choice for server CPUs and the only two giants that are covering this market are Intel and AMD. While Intel is on a whole different level, AMD was once very competitive in this field but their Opteron line didn’t manage to keep up the pace with Intel’s server offerings and with the Bulldozer generation of construction cores, we pretty much saw AMD’s server efforts going down the drains with their server market share hitting the zero mark. 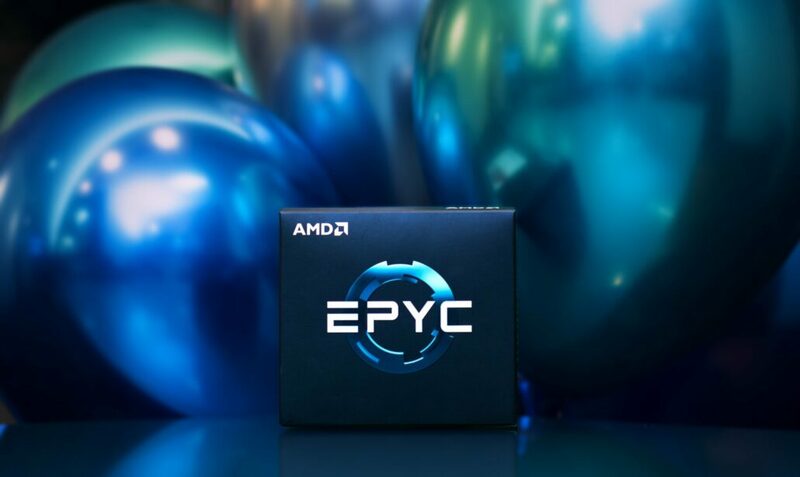 With EPYC Naples, AMD did manage to disrupt the market with a stellar performance and power efficiency at competitive pricing but one generation could only do much versus Intel’s decade-old efforts and marketing in the server space. 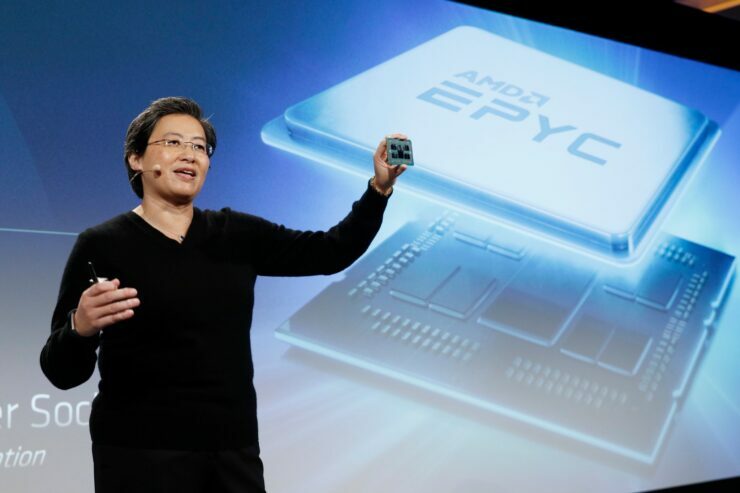 Now AMD is on the verge of introducing their 2nd line of EPYC processors codenamed Rome, based on the 7nm process. These are the first CPUs for the server space which will be using the 7nm process node and we already have details on the specs which includes 64 cores, 128 threads, and a totally revamped chip and architecture design that is unlike anything we have seen before. AMD’s EPYC Naples 14nm chips managed to increase their server market share to 1% a few months ago and is now reported to be at 2% from literally nothing in the last 4 years. This is something of a feat and with 7nm Rome chips, it is expected to touch or even exceed 5%. “Generally speaking, Intel will remain the leader in server CPU market”, says Mark Liu, senior analyst from DRAMeXchange. 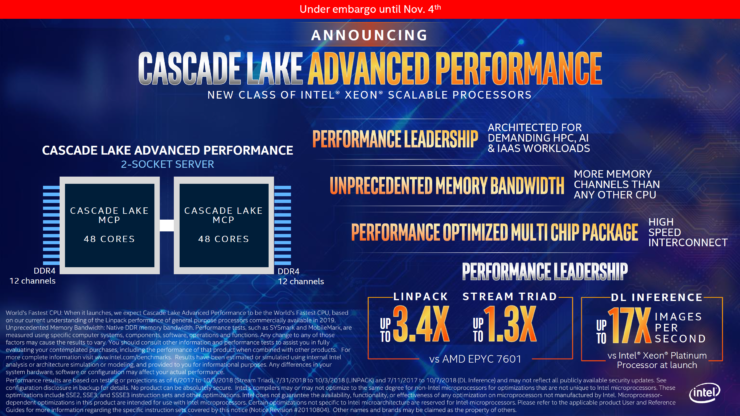 However, competitions will come from AMD, who is on pace to migrate to more advanced processes and to offer solutions with better performances and lower power consumption. AMD’s solutions have been adopted by a small scale of cloud service providers like Baidu, Ali Cloud, and AWS. AMD may have a chance to scale up in volumes after 7nm products are launched in the future. Now it’s easy to tell that Intel will still remain the dominant player in the market, retaining a 90-95% market share lead over AMD but Intel’s Ex-CEO, Brian Krzanich, stated that his company wouldn’t want AMD capturing 15-20% server market share. In fact, at the pace at which AMD is gaining their server market share, 15% doesn’t really feel like a far cry from now. Looking at the market penetration rate, Intel’s Purley platform has been adopted by 60% users in the server space and is expected to reach 65% in the coming year. On the other hand, AMD’s EPYC Naples platform has been adopted by 70% and considering that AMD is keeping socket longevity intact with Rome, we can see the adoption rate further expanding after 7nm chips launch. 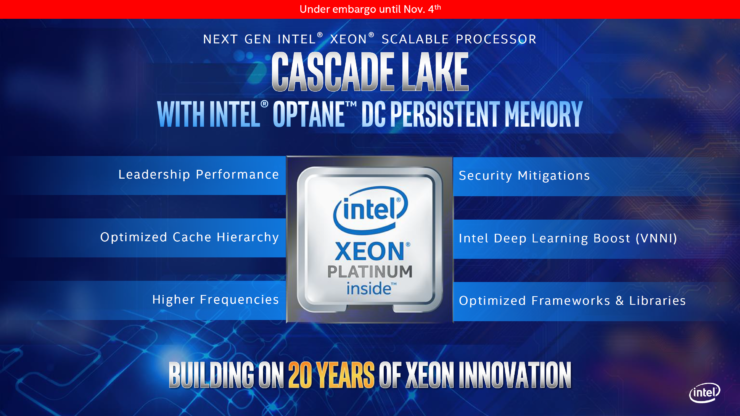 Intel is not going to go silent however as they have multiple solutions for servers in the works, especially 2S and 2S+ which include Cascade Lake-SP and Cascade Lake-AP. It’s definitely great news for AMD to finally be able to capture on a market where Intel has been consistent for decades but current supply issues, process yields and dependency on the 14nm node may prove to be troublesome for Chipzilla in the coming years, especially when AMD had their upcoming chips designed to compete favorably against Intel’s next-generation 10nm processors.